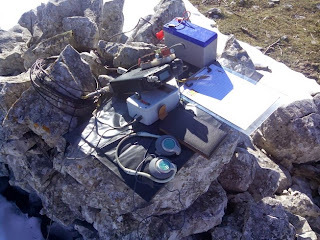 Today was our (Marcial EA2BDS and me) second try to activate this summit, the first one being some 15 days ago, when we didn't achieve it because of the really strong wind, low temp and snowing just when we started hiking. But today the situation was completely different. 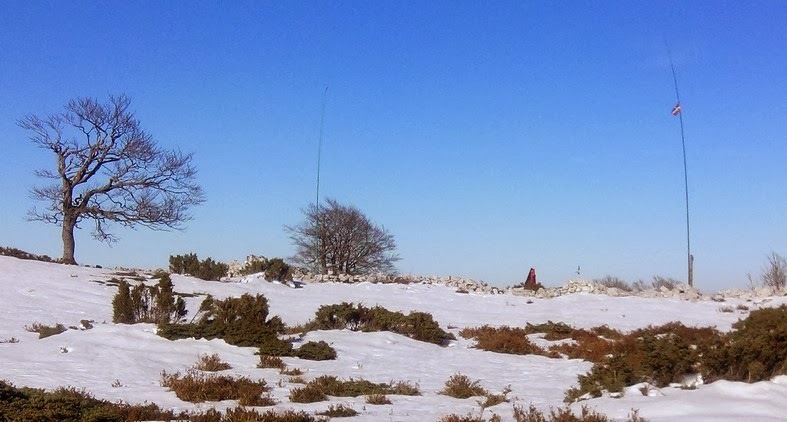 Even part of the path and the summit was covered by snow, there was no trace of wind or clouds, and the temp was abt. 8-10 deg. C.
The most beautiful of the surrounding summits left us "open-mouth". Summits from EA2/BI, EA2/VI, EA1/BU and so, could be viewed from ours. 360º of clear vision. Impressive! (I'll try to upload some photos later). So, after enjoying the place for a while, we started setting up our rigs, and had -at least for me- our best activation day, in any sense. Thank you to all the old & new friends who have worked us today.